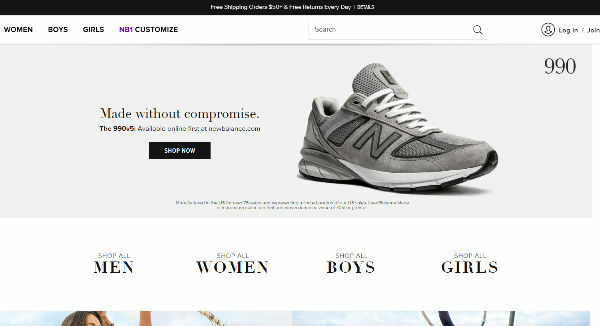 Sign up for free and just shop with New Balance as normal. Our average member earns over $450 cashback a year. 15% off and Free Shipping on Kids' Styles. 15% off and Free Shipping on Kids' Styles. 10% off $75, 15% off $125, or 20% off $175 orders. 10% off $75, 15% off $125, or 20% off $175 orders. Cruz Markdowns Extra 10% Off Already Reduced Shoes. Extra 10% off Reduced Shoes. 15% off Baseball and Softball. 15% off Baseball and Softball. Up to 40% off + Extra 20% off Recently Reduced Styles. Up to 40% off + Extra 20% off Recently Reduced Styles. 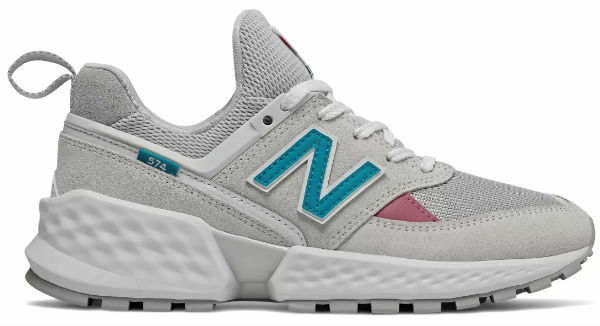 Only purchases made on New Balance's US site are eligible for cash back. Shop online for a diverse selection of stylish athletic gear. You'll love New Balance's shoes, accessories, sports bags, apparel and more. Enjoy free shipping when you spend $50 and over. Save even more dough with our New Balance coupons and cash back rates Just sign up for a TopCashback membership through the brief form at the bottom of this page to nab the best deals. Whether you need new kicks for running, weight training or everyday use, you'll find the footwear for you. All the merchandise is nice. But the New Balance 574 sneakers are exceptionally popular. And the women's 574 Sport shoes are up there with the best. Constructed with Fresh Foam midsoles, you'll get ample support while you're walking the city streets, running the gym track or hiking the country trail. And in addition to heightened comfort and performance, you can rock a cool geometric style. The chunky base, high tongue and sleek, wide suede upper have that old school New Balance 574 feel with a modern twist. Wear these snazzy sneaks with black, grey or white leggings to make the colors pop. They even look great with basketball shorts, blue jeans and track pants. If you're hunting for men's hiking boots, scope out the 1400 shoes. Complete with a waterproof membrane, ROLLBAR technology and a sturdy upper, they're perfect for active lifestyles. These stylish boots are light enough for steep, long inclines. So, you can reach the top of a mountain. And they work well in rain or shine. No need to double up on socks! If you're searching for kids' soccer shoes, the girls' junior Tekela Magique FG cleats are where it's at. Crafted with fierce, vibrant details, your little angel will make the ultimate fashion statement. And she'll be the coolest player on the team. The conical studs will help her stay low as she pivots for the ball. And the streamlined shape will allow her to rush around the field. So, these are just a few footwear options. Be sure to check out the boys' junior 4040v4 rubber molded baseball cleats, 890v7 Boston sneakers and Cush+ Slide sandals. And if you're searching for clothing, you'll find some cool dresses, short-sleeve shirts, sweatshirts and other casual tops. Looking for a unique gift? Or maybe something extra special for yourself? You can personalize your shoes with the NB1 Customize feature. Just choose your model, fit, style and colors before adding to your cart. Nab free standard delivery whenever you spend $50 or more. This takes about 5 - 7 business days. And if you do not meet the spend threshold, it'll cost you $7.95. If you can't wait to get your paws on your goodies, you can choose faster delivery options. But they will cost more, and they do not apply for complimentary shipping. UPS ground takes 2-5 business days, and it costs $9.95. UPS 2-day air is $14.95. And UPS 1-day air is $24.95. Looking for some style inspo? Follow New Balance on Instagram, Twitter, Facebook, Pinterest and YouTube for the inside scoop on the latest products, offers and events. Keep your eyes peeled for New Balance sales. In April 2019, the men's Fresh Foam Cruz v2 Knit shoes dropped down to $59.99 from $84.99. And the women’s' Fresh Foam Cruz v2 Nubuck went from $89.99 to $59.99. With awesome New Balance discounts like these, you know you can expect more fantastic savings in the future. Save big with our New Balance coupons. Just select the "Click to Reveal" button underneath an offer on our New Balance merchant page to see the voucher. In April 2019, shoppers could snag 15% off running and walking shoes. And they could save 20% on reduced items. Each deal required a promo code. Work out with confidence in New Balance’s performance running shoes and apparel. Save big with New Balance coupons and find the best deals on sneakers and tennis shoes for the whole family. Use a New Balance promo code for even bigger discounts on the footwear and equipment that helps you and your family stay active. Be sure to earn cashback rewards from TopCashBack when you shop.